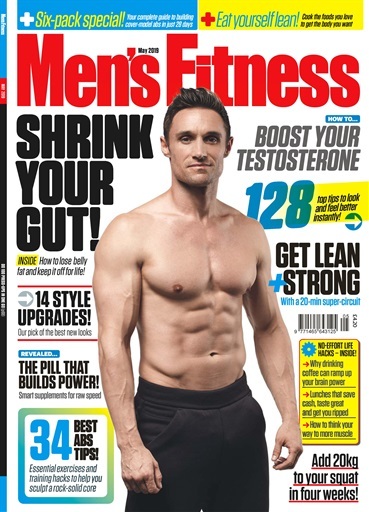 (0 Customer Reviews) | Write Review 12 issues per year Men's Fitness is for men who want to get more out of their lives and celebrates an upbeat, optimistic, pro-active lifestyle. Men's Fitness recognizes that mental and emotional fitness is vital to balanced living and aims to offer active and aspirational men - entertainment, information and inspiration. Looking for Men's Fitness in print? Unfortunately pocketmags.com does not sell print copies of Men's Fitness, but all is not lost. Our partner at magazine.co.uk sells print subscriptions at the best prices online. Men's Fitness is for men who want to get more out of their lives and celebrates an upbeat, optimistic, pro-active lifestyle. Men's Fitness recognizes that mental and emotional fitness is vital to balanced living and aims to offer active and aspirational men - entertainment, information and inspiration. You'll receive 12 issues during a 1 year Men's Fitness magazine subscription. Below is a selection of articles in Men's Fitness May 2019. You'll receive 12 issues during a 1 year Men's Fitness magazine print subscription.